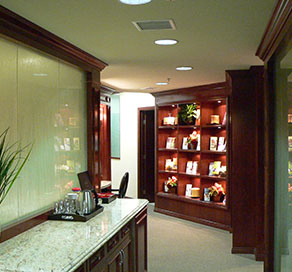 Experience the possibilities at Nu Vela Laser Medical Spa in a comforting modern medical suite located in beautiful Southern California's Porter Ranch, in the San Fernando Valley region of the city of Los Angeles. 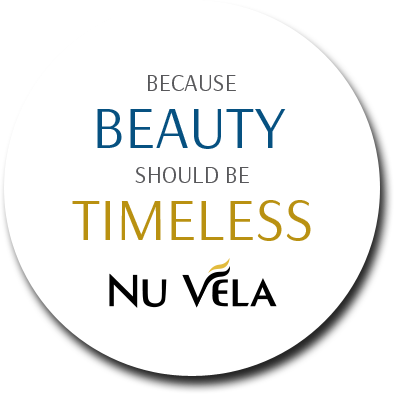 At our elegant cosmetic laser surgery center, Nu Vela, we can create a unique and effective line of aesthetic treatments by blending the art of natural beauty with the latest proven technological advances in medicine and cosmetic surgery. At Nu Vela, we can pave the way for the new you! We provide a full spectrum of results-oriented, non-surgical procedures to rejuvenate and contour your face, lips, and body, and restore the health and look of your legs. Only the finest products and cutting edge laser equipments are used, all clinically proven to deliver tangible results. Step into our medical spa and let Dr. Raffi Dishakjian, the cosmetic surgeon at the Center, show you the latest cutting-edge treatment options available at the center to turn the clock back and restore your beauty to its natural form the way you remember it, whether that includes softening expression lines, minimizing wrinkles, improving your skin texture and complexion, restoring youthful fullness to your face, controlling acne, treating acne scarring, or reducing unwanted pockets of fat deposits or unsightly spider and varicose veins. At Nu Vela Laser Medical spa, we understand that beauty no longer has to be the privilege of celebrities or the rich. We will make the "new beautiful you" within your reach by making every effort to assist you with affordable pricing plans for all cosmetic, laser and vein treatments, as compared to other clinics and medical spas on the Westside or Beverly Hills. If you think you are too young for a complete surgical face lift, or simply fear surgery, you can still look your best. We, at Nu Vela, can offer effective non-surgical alternative to face lift or liposuction, bring new life to your skin, add volume to your lips, treat acne and acne scars, or remove unwanted hair and wrinkles. Dr. Dishakjian, the skilled cosmetic surgeon of the medical spa, specializes in needle-based cosmetic dermatology, cosmetic laser surgery, body contouring with lipotherapy, as well as spider and varicose vein treatments. Dr. Dishakjian is available at the site to offer you specialized, safe, and minimally invasive procedures with minimal downtime that can noticeably enhance your beauty and restore the youth to your face and body. Note that unlike many medical spas in Los Angeles, Dr.Dishakjian personally performs all cosmetic surgery and laser procedures to give you the best outcome, while significantly reducing the risks associated with surgery. Please click the appropriate green buttons to access information about the diverse array of procedures performed by Dr. Dishakjian with injectables or lasers and the spa services offered by our Center. The photos in our picture gallery were personally taken by Dr. Dishakjian, right before a cosmetic procedure and then after full recovery. Dr. Dishakjian has many more in his office, from which he will select the ones depicting a condition similar to yours and show you the end result. At Nu Vela, you always know what to expect. I have spent $1600 the past several years with other doctors in an attempt to remove unsightly facial veins with no success. After one session at Nu Vela, the problem appears to be totally resolved and at a fraction of what I paid previously. They use powerful lasers and are very professional and knowledgable. I couldn’t be more pleased. Beautiful office as well. I saw Dr. D for veins on my legs as he is truly the best. By way of reference, I work in Beverly Hills and can go to anyone that is much closer to me, but I drive 45 min. to see him and would go twice the distance. You will get the best results possible, I know this from experience. He is not a technician or a nurse, but an anesthesiologist who specializes in veins. The office is beautiful and spotless with ample parking. His prices are also great. I’m very happy. I first went to Nu Vela for an IPL Facial to rid myself of the brown spots appearing on my California face. A week later, people were giving me all kinds of compliments. I then had a huge bulging vein running done my calf that I had for years. After treatment, which consisted of a laser probe inserted thru the vein it is completely gone! Dr. D has also "freshened" up my worry lines and sagging cheekbones with Sculptra. It looks wonderful and natural. I will be returning to Nu Vela for my unslightly spider veins and another IPL. Jessica, receptionist, is pleasant and helpful!! 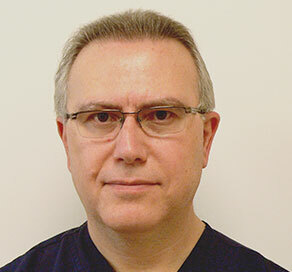 Dr. R. Dishakjian, M.D., a board certified physician, a cosmetic surgeon specialized in laser surgery, and a phlebologist (vein specialist) is the Center's medical director. Dr. Dishakjian has been featured twice on ABC's Eyewitness News for being one of the first physicians in the region to perform innovative procedures, such as lipotherapy for face and body contouring and foam sclerotherapy for varicose veins removal. Welcome to our state of the art cosmetic laser medical spa, designed for superior patient comfort, efficiency, convenience and safety. Our artfully designed medical spa is styled with an international flair for aesthetics and beauty and attention to detail. We are equipped with the latest cutting-edge laser technologies as well as with entertainment amenities and emergency equipment for maximum patient safety. "I never thought I would say going to a doctor was a pleasant experience but it was. For one who is afraid of needles I never thought I would sit there for an hour while be injected with needles. Dr. D. made the experience pleasant. He used the thinnest needles so that I barely felt anything. He plays calming music so that you can relax while the procedure is taking place. And of course, the end results were worth it." We are located in Porter Ranch, in the northwest part of San Fernando Valley, just minutes away from Chatsworth, Northridge, Valencia, Santa Clarita, Westlake Village, and other fine, upscale communities, including much of Ventura County. Copyright 2019 Nu Vela Aesthetics. All Rights Reserved.